It’s Official – New Hampshire Is A Great Conceal & Carry State! In a recent 2014 study by Guns & Ammo Network to determine which state in the United States was the best for the right of citizens to Conceal and Carry, the great state of New Hampshire should be proud of where it ranked. Although top honors went to Arizona, New Hampshire finished in the top ten – at #8 to be exact. This is an impressive achievement, considering the study took into account all 50 states as well as Washington, DC. NH firearms enthusiasts rejoice! >Method of issuance for CCW license in said state. >How many other states honored a CCW license from said state? >How many CCW licenses from other states were honored within said state? >How many mandatory training hours are required to grant a CCW license in said state? >How much is the application fee? >Does the state in question enforce “Duty to Inform” when contacted by police? >Does state law regarding CCW’s preempt laws if local governing bodies? >Does the state issue permits to non-residents? Additionally, where the state in question ranked in previous studies was also taken into account. It is the state’s continuing legacy of reasonable, common sense policies aimed at creating a positive and responsible environment for NH firearms and NH firearm owners that allowed it to achieve such a high score in every category. With a Shall-Issue stance on CCW permit issuance, no mandatory training time, low application fees, sensible legal views on “Stand Your Ground” and “Duty To Inform” all combined with state laws preempting local authorities in matters of CCW’s, every gun owner and gun shop in New Hampshire should be rightfully proud of the performance of their state. We know that THIS NH gun shop is! 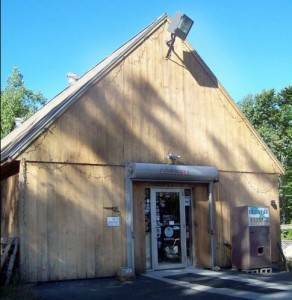 So now that you have a basic idea of how CCW-friendly New Hampshire is, it’s time for you to come on down to Old Glory Guns & Ammo in Mason, NH! We are the premier provider of firearms and ammunition in NH and MA, and we have everything you could possibly need to help you prepare to conceal and carry firearms in NH or any other local state. So whether you have been carrying a concealed firearms for years, or you are still in the contemplation phase of the process, give us a call today at 603-878-2854 and let us assist you with all of your firearm and ammunition needs!